When choosing a lot clearing company, you want to make sure you hire an experienced professional with proper licensing and insurance. You only want the best for your property. 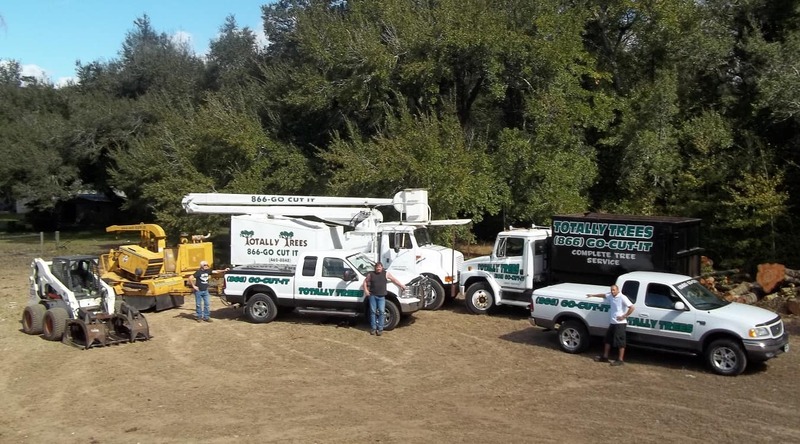 At Totally Trees, our lot clearing experts work hard to create added value to your property in Pensacola, Ludington, and surrounding areas. Our top of the line equipment allows us to work faster and more efficiently creating in inviting look for your property. If your ready to get started making your property look great while adding value, give us a call or fill out our free estimate request at the bottom of the page. With our variety of lot clearing service available in Pensacola, you can have your lot ready for build out or resale in little time. Lot clearing is necessary to create the look of the property prior to new construction builds. With our fast and friendly team of professionals, you can be assured that your property will be ready for the next part of your investment plan. Most of our Pensacola lot clearing customers decide to have selective clearing so that they can preserve portions of the natural beauty of the property. Keep an arrangement of trees and shrubbery to allow a natural look to your property. With all these lot clearing services at your disposal you can create a stunning look and add value. Having your property ready for your investment plans may need require lot clearing services from a professional. Ludington property owners know to call Totally Trees to create added value with out the hassle on their land projects. With brush clearing, tree removal, debris removal, and our other services, you can be sure that your property will create additional value for resale, build out, or personal investments. Keep your property looking it's best with an affordable seasonal clearing rate. Clear out that overgrowth, remove those rotted branches, trees and other decay matter and bring back life to your property. Add value with a professional and create a clean looking property giving you added value and at value price. So if you're looking for a professional lot clearing company in Pensacola, FL, Ludington, MI or the surrounding areas, give Totally Trees a call for your free estimate.